What makes the Cumbres & Toltec most amazing is that it wasn’t torn up long ago. Narrow-gauge rail lines were already historical oddities by the 1950s, but a local natural gas boom extended the need for the route, and by the time the railroad wanted to abandon it, historians and enthusiasts were ready to step in. In 1970, Colorado and New Mexico purchased the old line and turned it into a tourist attraction. 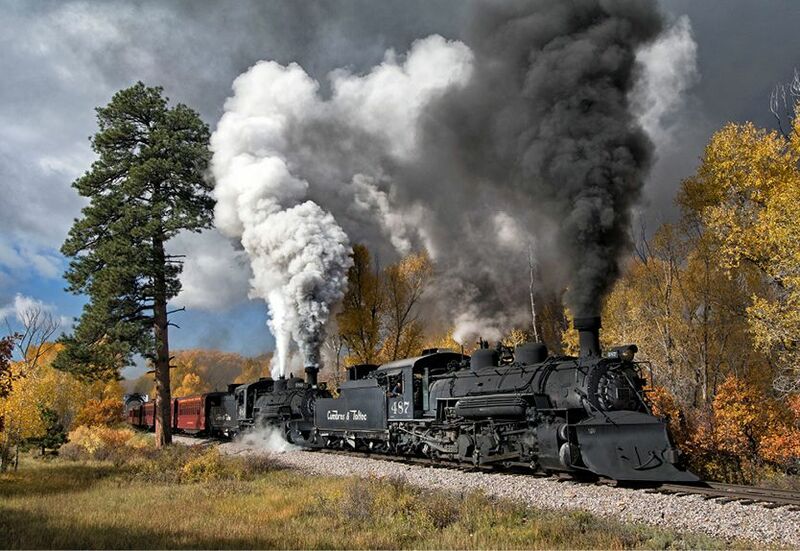 Trains now run daily from May through October, consuming 3,500 gallons of water and 3 tons of coal just to travel the 14 miles between Chama and the Cumbres Pass. “It’s a lot of cardio,” says Evan Martinez, a fifth-generation railroader who shovels that coal.